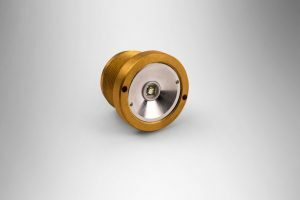 Just when you thought the all new Photon couldn’t get any better we accompanied it with the NightSnipe NS350 Extreme IR Illumiantor Dimmer Kit! Here it is folks! 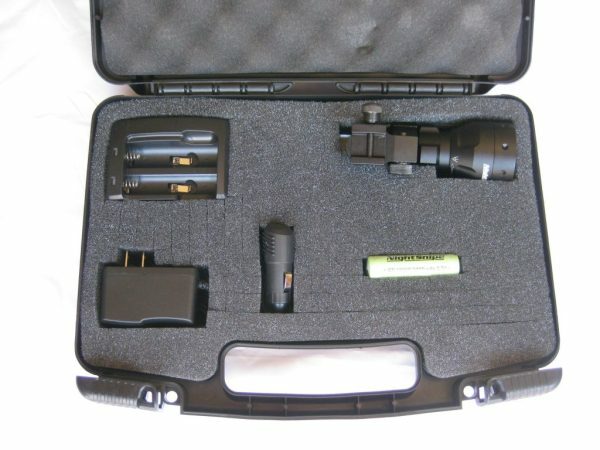 A dimmer IR Illuminator kit like no other!! Feed that night vision scope as much or as little IR light it needs for the perfect amount of illumination on every set!! 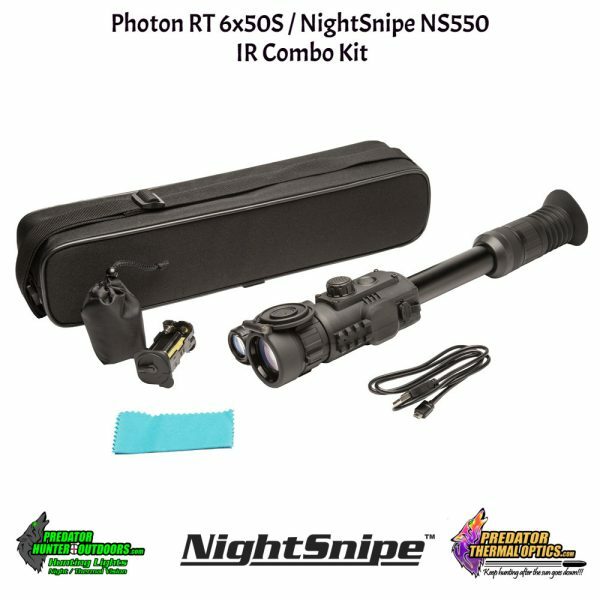 The Stock Photon scopes will allow you to see roughly 150 yards in pure darkness. By adding the NightSnipe NS-350 IR Kit you will now be able to reach distances of 600+ yards and greatly improve the clarity and resolution from your Photon scope. 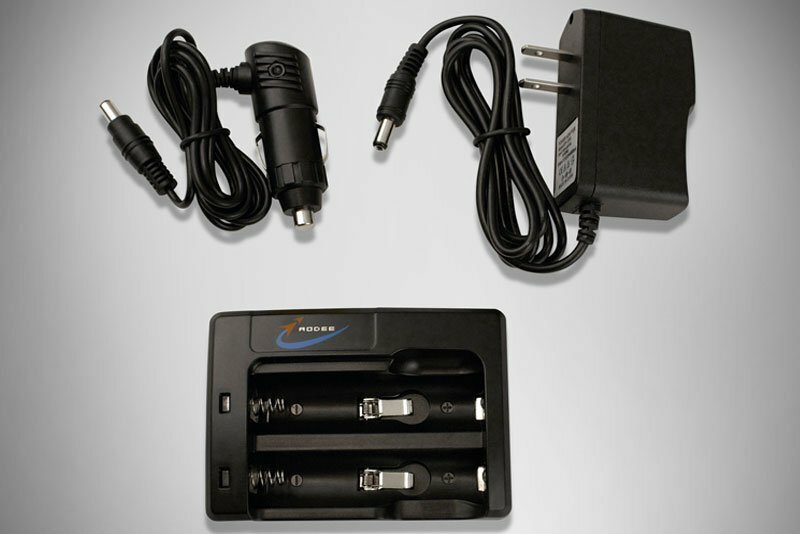 A small investment for an extreme improvement in performance! 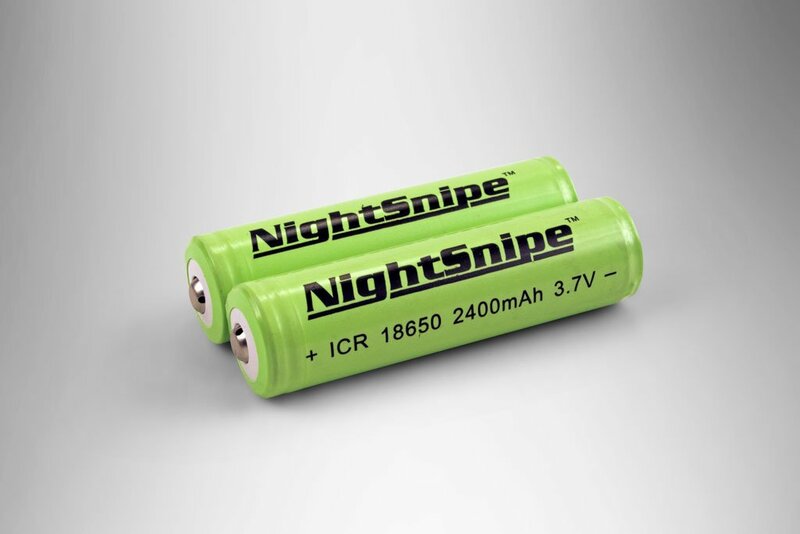 When it comes to IR illuminators nothing beats the NightSnipe NS-350 Extreme IR Illuminator !! Turn your existing Night Vision Scope into a 600 +++ yard killing machine! NS-350 (54mm Objective) IR Illuminator Kit with 3 modes, Low, Med, High IR Light intessity control. 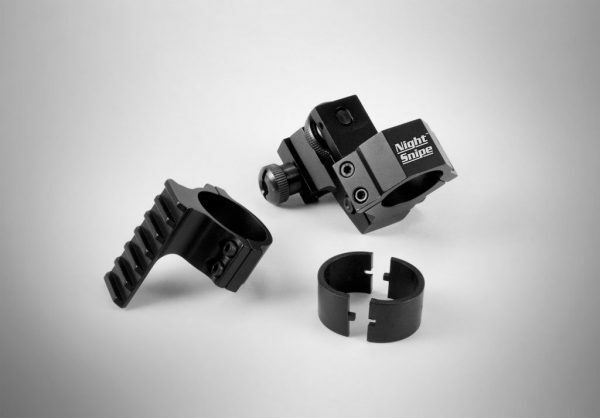 NEW: NightSnipe Adjustable Mount System with windage and elevation adjustments. Mount can be used with the included picatinny rail ring mount for mounting on the top of the Photon, or any existing picatinny rail. 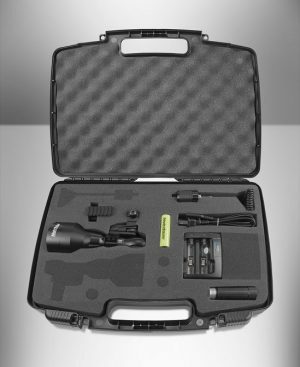 The NS-350 (54 mm objective) IR Illuminator by Predator Hunter Outdoors is one of the most powerful illuminators on the market yet is still compact, lightweight and usable on any night vision setup. 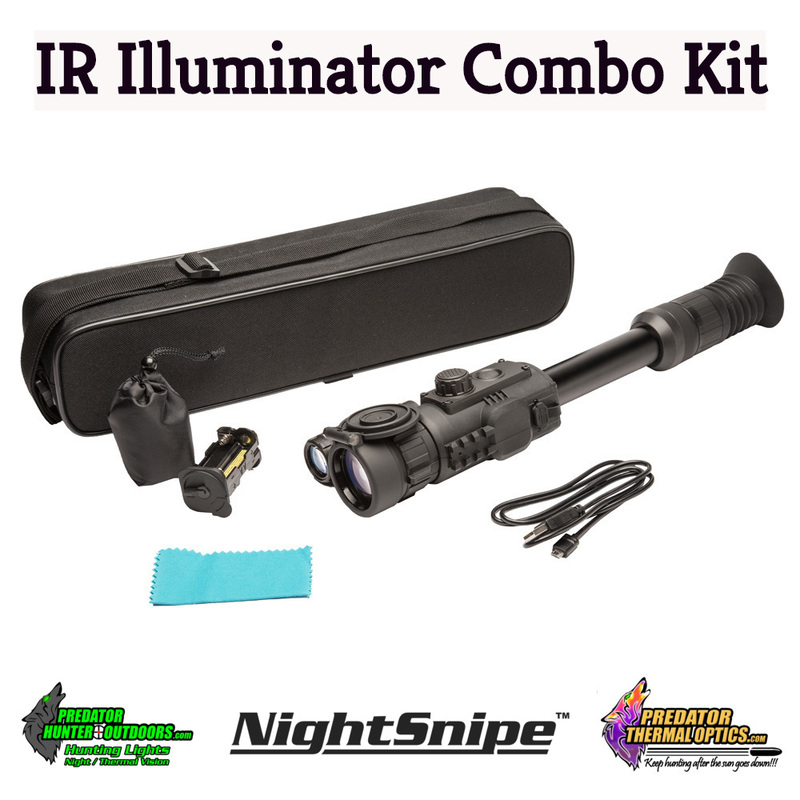 Greatly improve the clarity and distance capabilities of your current night vision equipment with this powerful and compact illuminator. A must for anyone looking to get the most of their night vision equipment. Mount can be used with the included picatinny rail ring mount for mounting on the top of the Photon, or any existing picatinny rail.